Rubies are among the world’s most precious gemstones, which also include diamonds, emeralds, and sapphires. Like all precious gemstones, there are some varieties of rubies that are more valuable than others. Being that the color is the most important of the 4 Cs (Color, Cut, Clarity, and Carat) when talking about rubies, it is logical that stones displaying a very vivid crimson color would be deemed the most desirable. The deepest and most sought after shade of red is called “Pigeon Blood.” Thus, Pigeon Blood Rubies are rubies that display this highly coveted hue. As mentioned earlier, color is the most important factor in regards to rubies. However, “color” has multiple parts including hue, saturation, and tone. The hue refers to the actual color as we know it. With rubies, it is pretty simple since only stones with a primary red color are considered rubies. 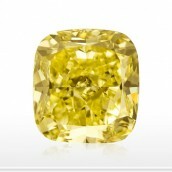 Other colors are known as sapphires. A ruby that is not deemed red enough is actually considered a pink sapphire and not a ruby. 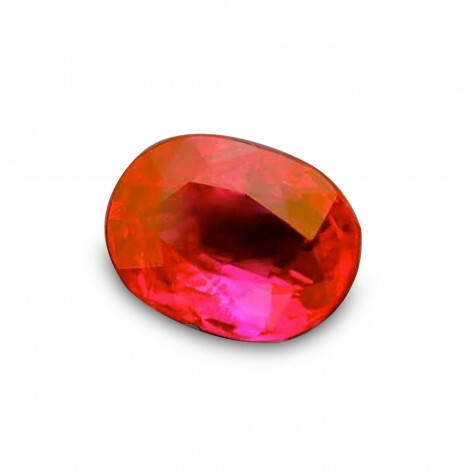 A ruby can contain secondary colors including orange, purple, violet, and pink. 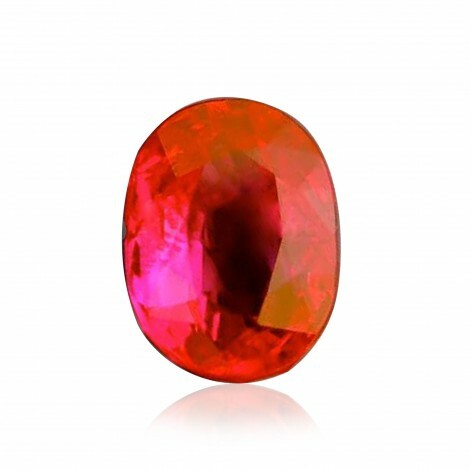 While prominently red stones are preferred, they are also hard to come by. That is why Pigeon Blood Rubies are considered so valuable. However, those with some secondary colors, such as purple, can be worth quite a bit as well. Since high quality rubies, especially those with a deep color like Pigeon Blood Rubies, are hard to come by, some rubies are treated or enhanced in order to improve their appearance, be it their color, inclusions, or fractures. Heat treatments are the most common form of treatments and are used in order to improve the color and eliminate purple tinge, silk, and blue patches. Glass filling is another form of enhancement that has been seen more over the years. This treatment fills fractures within the ruby, which results in increased transparency of the stone. However, all of these treatments must be clearly stated when sending a stone in for a gemstone grading report, and must be noted on the report as well. Attempting to sell an enhanced ruby as if no treatments were done is highly frowned upon and downright wrong! The answer to the question, “ Natural or synthetic?” is an obvious one. 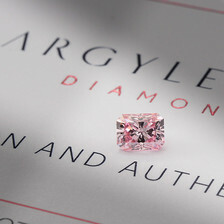 However, discerning between a natural ruby and a synthetic ruby is far less obvious. The first synthetic ruby ever to be produced was created in 1837. Since then the industry of synthetic rubies has evolved, and though the product has improved there still is and always will be a difference between genuine rubies and their synthetic impostors. This difference is for the most part only detectable through a microscope. Professionals will detect a different structure. 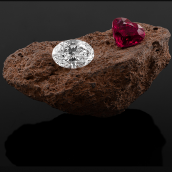 Furthermore, while natural rubies often contain flaws, synthetic stones are almost always perfect save for some bubbles that can appear from time to time. Pigeon Blood Rubies are among the finest rubies on the planet. 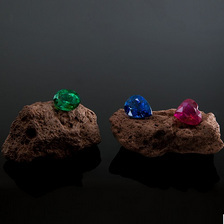 Many of these stones can be found in Myanmar (formerly Burma), which is already known for producing the top rubies. Even though this color is considered the most prestigious hue, it really boils down to a matter of taste. Some people prefer a more subtle shade of red and are not blown away by Pigeon Blood Rubies. In any case, if this is indeed what you are after, make certain the stone has all the necessary certifications and that you have shopped around a bit before deciding on a certain ruby. Loving the amazing red colors of the ruby? 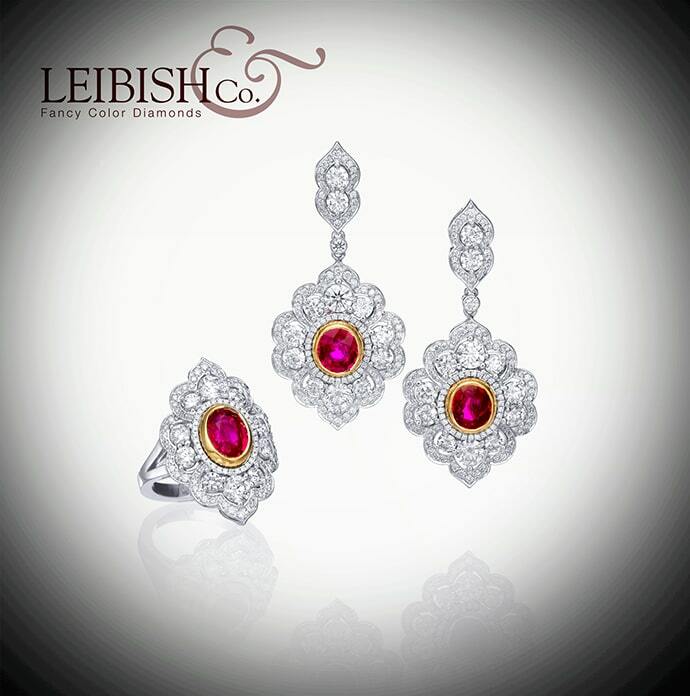 Have a look at our collection of ruby jewelry.